Passover can be, as things with scripts tend to be, a remarkably repetitive holiday. Remarkably repetative and remarkably good at provoking the question: Why on this night do we eat garbage desserts? Surely there exists some modern haggadah which instructs the table to spill a drop of wine for the twin plagues of jellied fruit slices and tinned macaroons. Of course in the age of gluten-awareness, we’ve all gotten used to all sorts crumbly sunken nothings but…for that we left Egypt? No, no we did not. ​Amy is the woman behind WhatJewWannaEat and the fabulous judaica shop Modern Tribe. We invited her over to last year's Nosh Berlin Jewish Food Week. There she demoed creative Passover recipes from her cookbook Sweet Noshings. And one of these recipes was a revelatory chocolate orange cupcake with a bright pink beetroot frosting. See, before this, we were hopeless with flourless cakes. They sank in the middle. They dripped oil. They were crunchy on the outside and soggy on the inside. There is such a wonderful variety of ways that one can bomb at making a flourless cake and we hit on all of them. 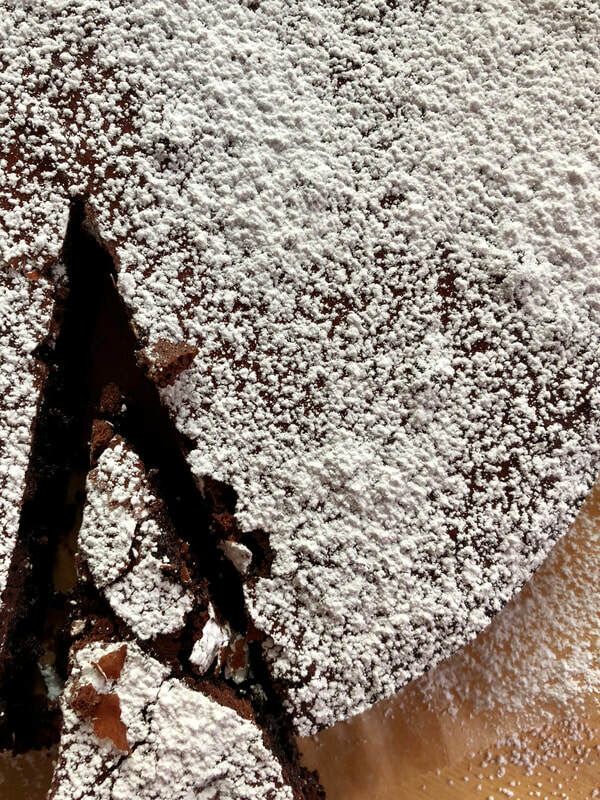 But since Amy’s recipe came into our lives, we’re flourless cake-baking geniuses. 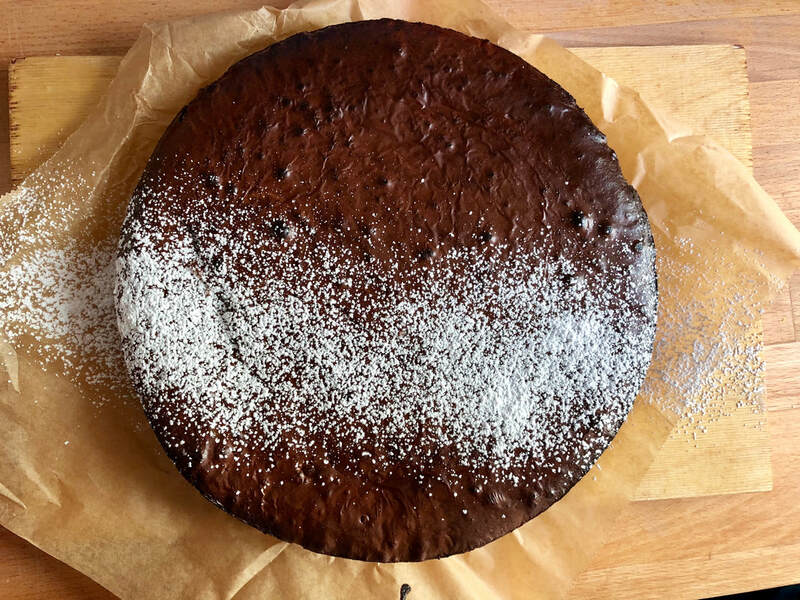 We’ve been serving a modified version of her flourless chocolate cupcake recipe in the cafe ever since her visit, turning it into a full cake rather than cupcakes and skipping the frosting. Adapted from Amy Kritzer’s Sweet Noshings. Find the original recipe in her book Sweet Noshings, a wonderful cookbook to have on your shelf. Preheat your oven to 175c and line one springform pan with baking paper. 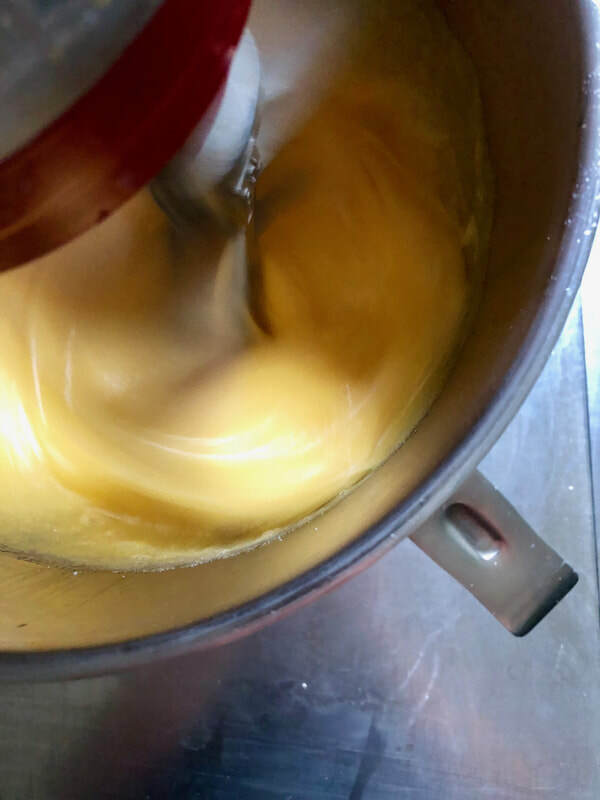 On a double-boiler, melt butter/margarine and chocolate. 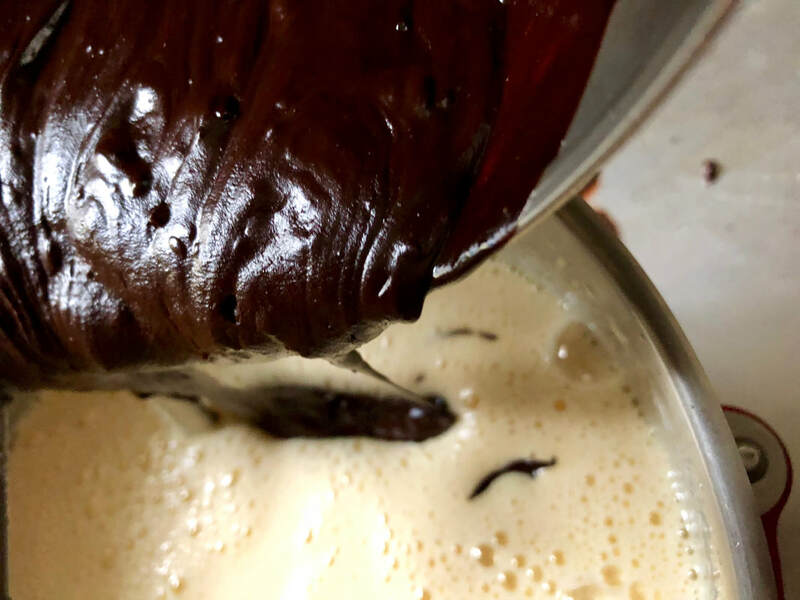 ​While the chocolate is melting, mix eggs and sugar in your mixer. Start on low speed and raise to high. Beat on high for five minutes. 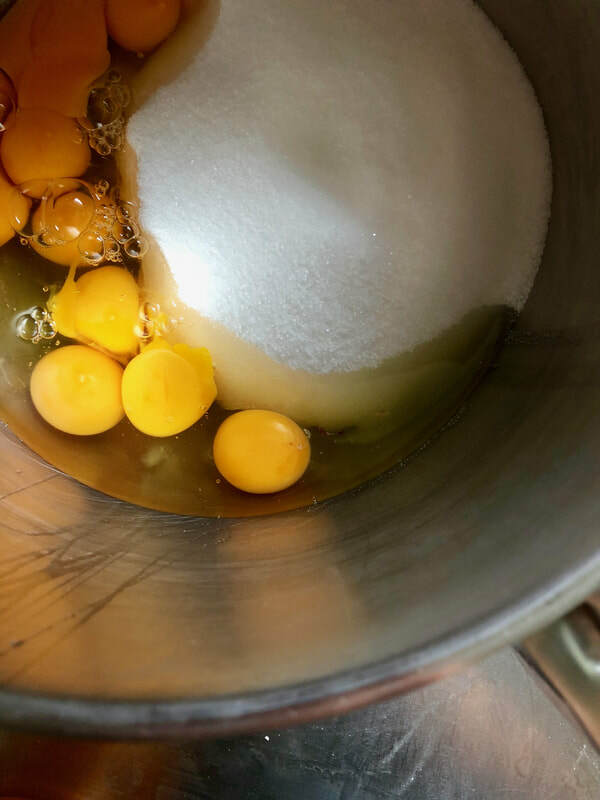 The egg mixture will change from bright yellow to quite pale. It will gain volume and get quite airy. 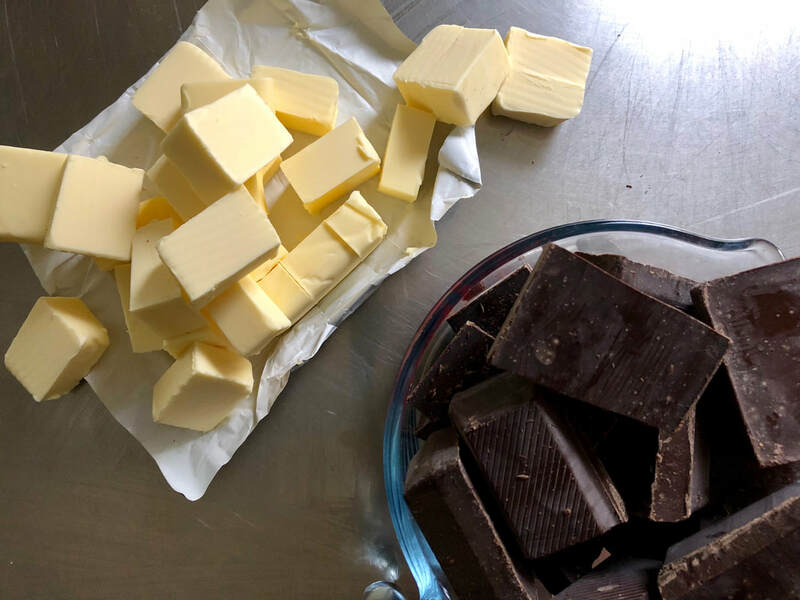 By now your chocolate and butter should be melted. 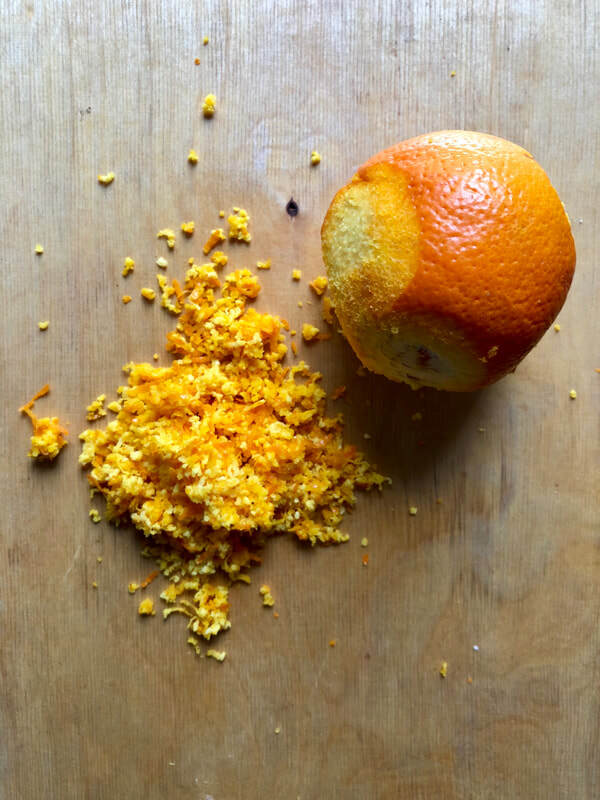 Remove from the heat and mix into it your cacao and your orange zest until smooth. 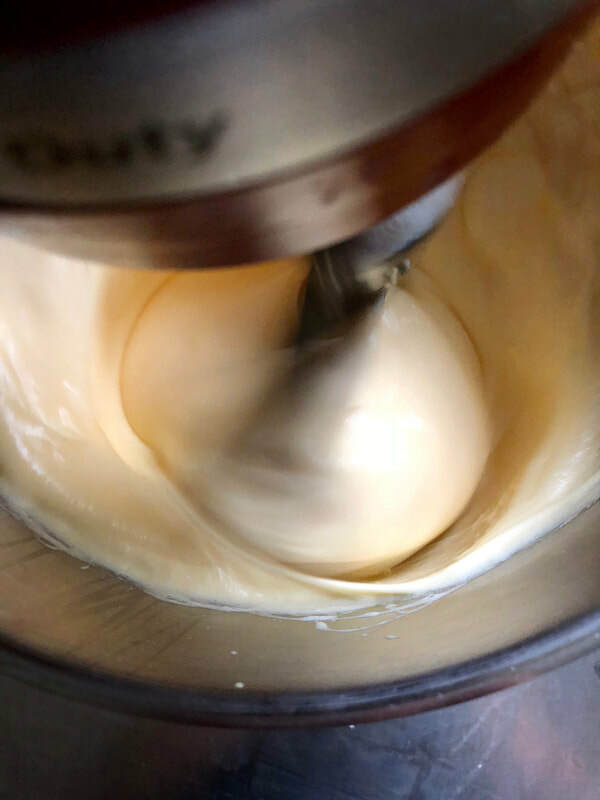 Turn your mixer on low, gently stirring the egg mixture. Pour in the chocolate mixture a little at a time. You might need to stop and scrape the bottom of the bowl, as the denser chocolate mixture tends to sink to the bottom. 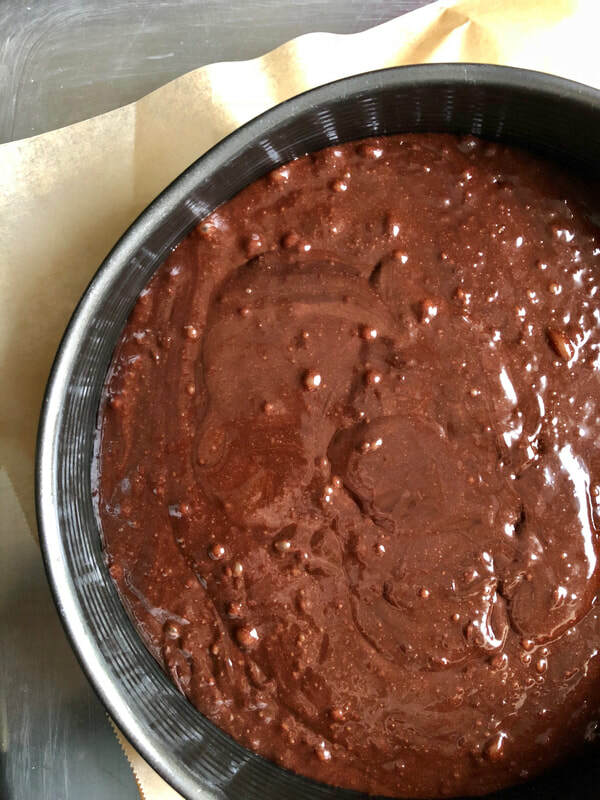 When the mixture is uniform and a shiny dark brown, pour it into your springform pan and bake for 40 minutes. It will be ready when it no longer wiggles and has formed a delicate top crust. Let cool completely before removing from pan. When cool, slide a knife around the edge and then release the ring of the pan. Serve it as you like! We're a fan of powdered sugar and a fresh raspberry puree.